Travel to Central America and participate in conservation volunteer work in the Galapagos Islands, Ecuador. Release your inner Charles Darwin by supporting the work of conservationists at the Galapagos National Park. You’ll do this by studying, protecting, and preserving plants and animals found nowhere else in the world. The Galapagos Islands are renowned for their incredible biodiversity. Unfortunately, its plants and animals are under threat from invasive species and the impact of humans. We have an official partnership with the Galapagos National Park to help protect the environment. We are the only volunteer organisation allowed to work here, so this is truly a unique opportunity for you. You’ll get involved in plenty of practical activities at the park, like wildlife surveys, planting saplings, and caring for Giant Tortoises. You’ll live on San Cristobal island, and stay in shared accommodation with other volunteers. Seize the opportunity to have the experience of a lifetime in the Galapagos! 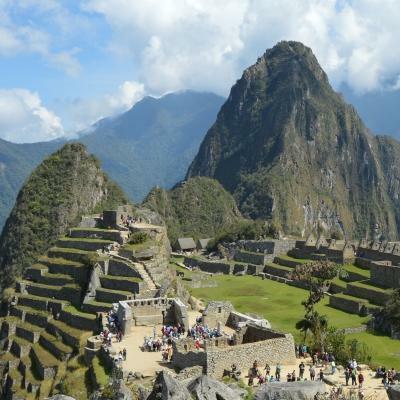 Is Conservation volunteer work in Ecuador right for me? 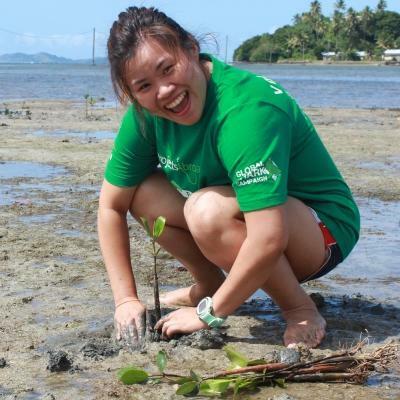 Are you passionate about protecting our planet? Do you want to experience living in one of the most unique environments on earth? Then this is the ideal project for you! This project is also a great fit for you if you want to pursue a career in conservation one day. You will have relevant experience to add to your CV, and interesting points to talk about in interviews. Getting actively involved will also show your commitment to conservation work, and you’ll learn directly from conservationists. You don’t need previous experience to join. We’ll teach you everything you need to know, and you’ll work alongside experienced conservationists. You’ll also have support from our Projects Abroad staff should you need anything. 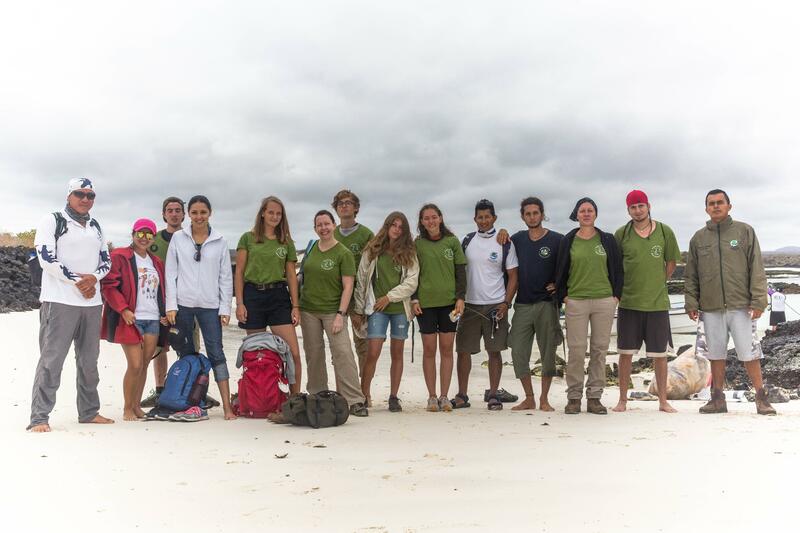 Our Galapagos Island Conservation Project runs year round, and you can join at any time from a minimum of two weeks. We do advise you to stay as long as you can, as it’s very likely you won’t want to go home after only two weeks! 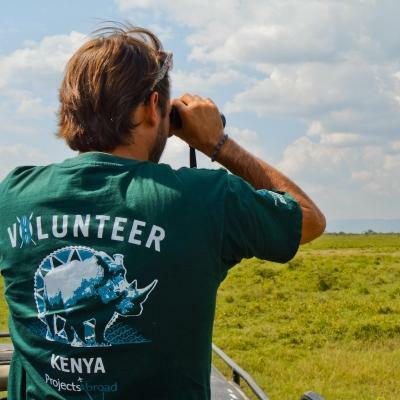 What will I be doing as a conservation volunteer? You will also assist with sea lion monitoring and bird surveys throughout your time with us. This is important work, as it helps us keep tabs on their numbers. You may also get the opportunity to participate in a marine iguana census. You’ll count individuals, note the composition of the population, and identify breeding sites. Alien species are a problem in the Galapagos, as the ecosystem has no natural predators. These foreign species are preying on the island’s animals, which is a big issue. You will assist with controlling invasive species and protecting indigenous animals from these introduced predators throughout your stay. The Galapagos petrel, a marine bird, is one of the native bird species that we have been monitoring and assisting. Unfortunately, the petrel population is under threat because of a rising number of alien rats on the islands. Rats attack nesting birds and eat their eggs. In response to this, Projects Abroad and the Galapagos National Park Agency got a special poison designed to attack the rats’ immune systems. This poison does not affect other animals and helps control the rat population. Our volunteers monitored the petrel breeding population and we are thrilled to see that their numbers increased by 10% in 2017. We can link this directly to the fact that rat numbers have dropped by 40%. Alien plants are one of the greatest threats to the endemic species and ecosystems of the Galapagos Islands. Eradicating these species is crucial to help indigenous plants thrive. 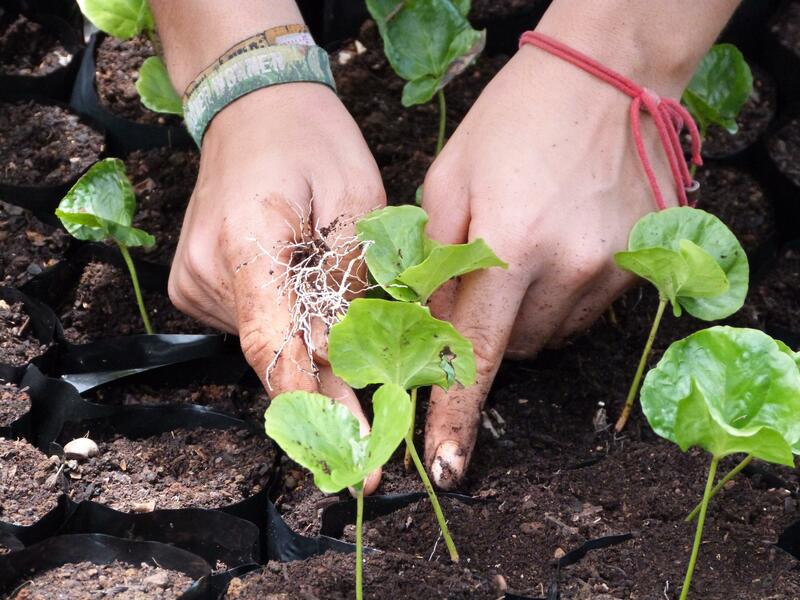 You’ll remove plants such as guava, avocado, and raspberry plants, and replace them with indigenous species. We grow the indigenous plants in a nursery in the park. You will assist with beach clean ups throughout your stay. By removing the litter from local beaches we protect local animals from unnecessary dangers and keep the natural environment as clean as possible. You may also need to help with the weighing of this collected litter. We weigh the rubbish to try and identify the areas of the island that collect the most rubbish. This also allows us to see whether the amount of litter on the island is increasing or decreasing. During your stay you may also get the chance to participate in the conservation education programme. This will involve running workshops at local schools to raise awareness about the natural environment and the importance of conservation. Where in Ecuador will I be working? You will live in Puerto Baquerizo Moreno, a town on San Cristobal Island in Ecuador. Part of the Galapagos archipelago, San Cristobal is the main island and is located about 1,000km from Ecuador. The safe and relaxed coastal town of Puerto Baquerizo Moreno is renowned for the large population of sea lions that live harmoniously with the locals. This small, lively town is an ideal base from which to explore the Galapagos. You will work both in the Galapagos National Park, and in smaller areas on the island. We are the only volunteer organisation to have an official agreement that allows us to work within the Galapagos National Park. The idyllic Galapagos Islands are renowned for their gorgeous scenery and plethora of wildlife. The ideal destination for anyone with a love of biology, science, plants and animals, these famous islands are home to a large number of species that occur nowhere else in the world. Photo opportunities abound here, so be sure to bring your camera along! 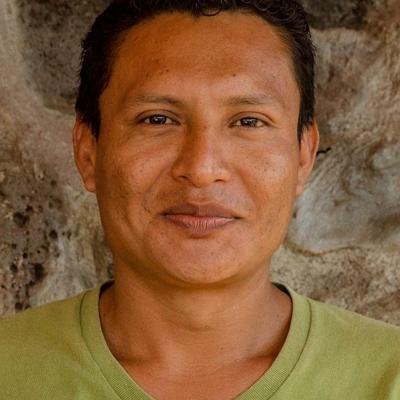 What will a typical day on the Galapagos Islands Conservation Project look like? No one day will be exactly the same as you’ll be working on multiple different initiatives throughout your time in the Galapagos. You can expect to participate in most projects listed above in any given week. An average week day will begin with breakfast at your shared accommodation lodge. You will then head to the Projects Abroad office, where you’ll be transported to your work site. Your activities will begin at around 8am, unless you’re going bird watching. This activity requires an early start of 5am. Once you finish up with your work around 1:30pm, you’ll have the rest of the day to relax. Stroll along the beach, enjoy dinner with your fellow volunteers, or find a spot to watch the sun go down. You’ll also have the weekends free to explore and experience this tropical paradise. Learn how to scuba dive, visit nearby islands, or enjoy well deserved siestas in the sun! The main aim of this project is to conserve and preserve the unique and abundant fauna and flora found on the Galapagos Islands. We strive to achieve this goal through practical hands-on work and research. Many of the precious endemic species of the Galapagos are under threat due to the alien species that have been introduced onto the island. As so many of these plants and animals are unique to this environment, protecting them from these threats is essential. By participating in this project, you will contribute towards the protection of these special plants and animals, and help them survive. 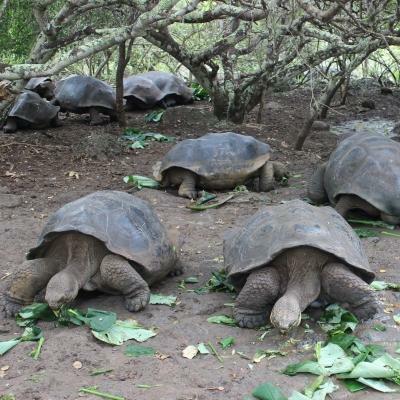 The Galapagos National park also needs all the help you can give them. The park is understaffed and the conservationists need help to carry out all the necessary research and monitoring activities. 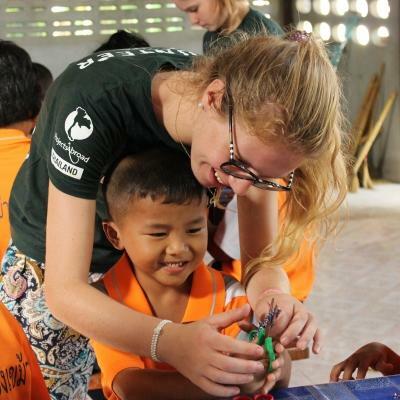 We also strive to make a bigger impact through our conservation education programme. By teaching children and local communities about the importance of conservation, we hope to involve more people in our efforts. 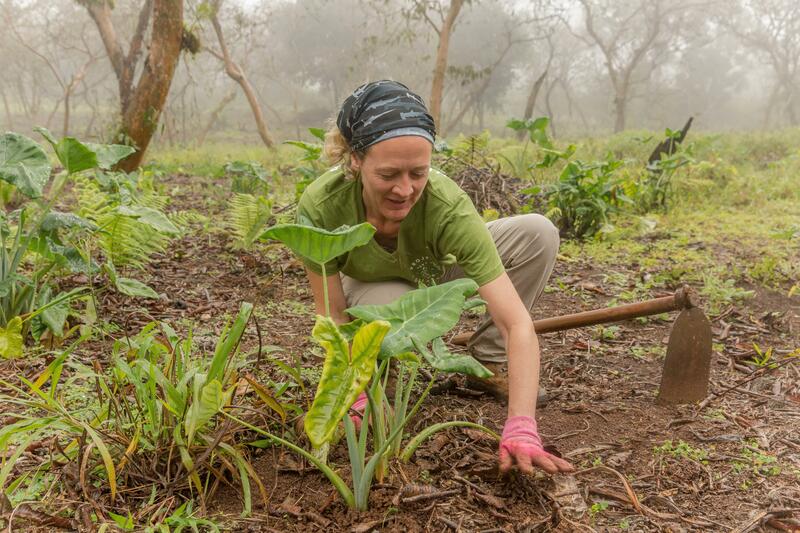 Take part in this conservation volunteer opportunity and help preserve the biodiversity of the Galapagos Islands.